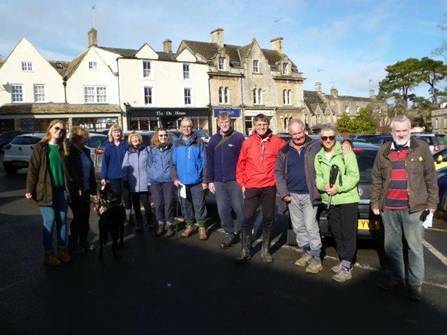 Twelve walkers and a black Labrador turned up at Northleach for the 90th Saturday Pub Walk. 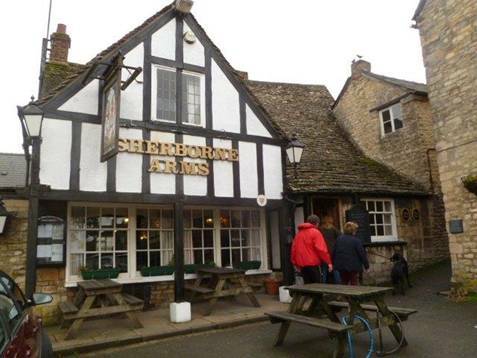 This is the first at the Sherborne, an Enterprise Inns establishment, but the fourth walk at Northleach, two at the Red Lion (now closed) and one at the Mechanical Museum. 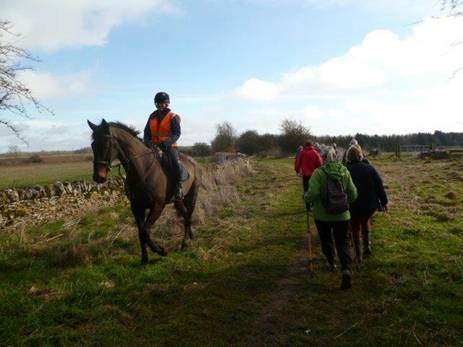 This time a different route in bright sunshine after recent heavy rain. After gathering outside the pub in the Market Square (Photo 1) and ordering lunch we set off to the East along the old A40 and took a footpath to the right towards the playing field heading south. 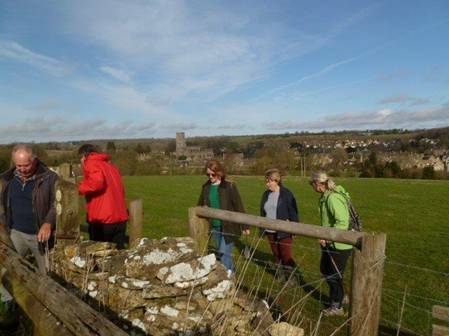 Past the swings and up a slope to a stile (Photo 2) and lovely views behind with the magnificent church dominating the landscape. Left at the next stile at Helens Ditch along the Diamond Way heading east. 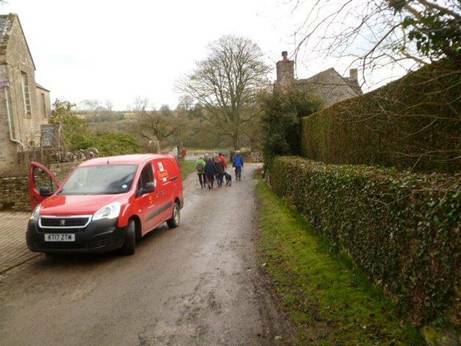 Cross the next road to Upper End (Photo 3) Through a gate bearing right passing a lake below (Photo 4) then left at the footpath climbing through woods (Photo 5) heading east past Black Barn then left after another field now heading north into woods screening the new A40. Cross with care onto a footpath. 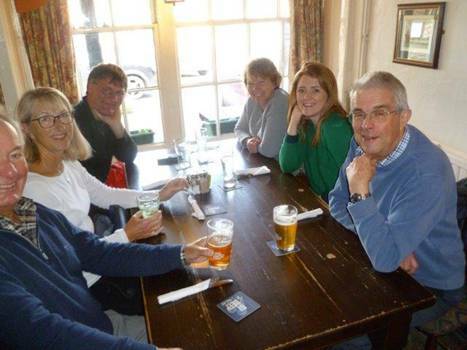 A great value lunch was enjoyed (Photos 8 & 9) washed down with a choice of Butcombe Bitter or Marstons 61 Deep. 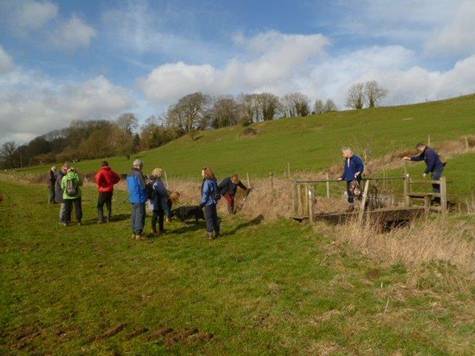 A great walk in this picturesque village on an alternate route to previous. 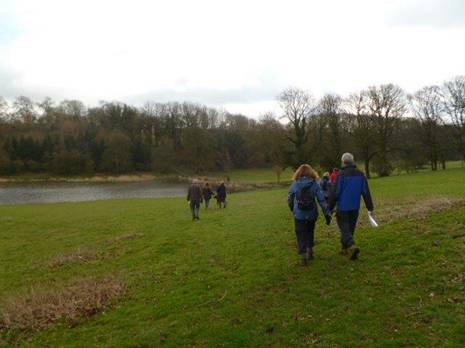 The next walk is the 91st from the Red Lion, Chipping Campden on Saturday 6th April 2019. Free Parking along the main road usually available. 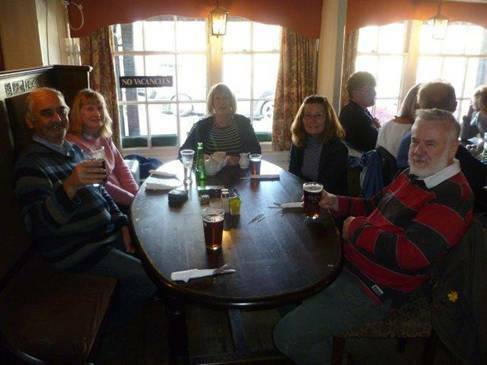 Meet outside the pub and order lunch before setting off at 1030hrs.